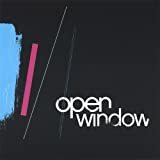 THE OPEN WINDOW is a group formed by and featuring PETER SCHICKELE, ROBERT DENNIS, and STANLEY WALDEN in the late 1960s who all had similar musical backgrounds and have similar bodies of work. The group wrote the score and lyrics for the very-long running and infamously risqué Broadway nudie musical "Oh! 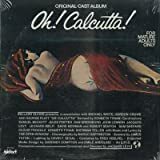 Calcutta!" They then recorded a self-titled group album, which is the album that got the group in this website's database. 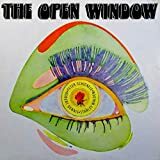 "The Open Window" self-titled album is an eclectic melange of avant-rock, chamber rock, psychedelic, raga, jazz, pop-classical and baroque, honky-tonk, and folk music elements. It has some similarities with Brain Wilson's Smile, David Axelrod, Jean le Fennec, Van Dyke Parks, and has an early Gentle Giantish feel to it. 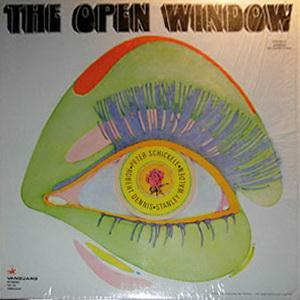 "Three Views from the Open Window" was recorded with the Louisville Symphony in 1968. The most famous of the Open Window group is Peter Schickele, who has composed more than a hundred works which includes symphonies, chamber music, choral works, and soundtracks to films such as Silent Running (a favourite sci-fi film of mine) and Where the Wild Things Are. He is best known for his satirical work under the pseudonym/ fictitious character P.D.Q. Bach, which is very funny and clever. He studied at the Julliard School of Music and his primary instrument is the piano in The Open Window, but he is also a lauded bassoonist -- like the other Open Window composer/ musicians, he plays various instruments, which, as with all three, includes piano, woodwinds, and percussion. He has composed and arranged music for Joan Baez. Robert Dennis also has composed choral works, musicals, and has composed film scores (notably for the short film, Milk). He has written scores for a Shakespeare Festival, has performed original works on a tack piano for the Mad Painter series, composed for PBS television, and has written and performed music for the US children's TV program Sesame Street. He graduated from Julliard with honours, and then spent a year in France on a Fullbright scholarship. Stanley Walden has been a prolific composer, writing scores for operas, symphony orchestras, film and musical scores, as well as chamber music, and has written significant amount of works for the piano. He was on the Julliard School of Music faculty. Thanks to Logan for the artist addition.